Continuous conversion of ordinances and amendments of different state laws from print to electronic in quick turnaround time with 100% accuracy. Eliminate inconsistencies in the input data and produce error-free, print ready electronic files. Indexing of hard to read handwritten birth, death and marriage records in quick turnaround time with 100% accuracy (approximate volume: 1.5 million records/month). Converting their massive bunches of paper books to e-Books and other digital formats. Software team developed a new data entry and verification software to produce zero error output files, resulting in reduction of production and outsourcing cost by almost 20%. PHi help Government process high volume data at rapid turnaround time and provide documentation, typesetting and digitization services to overcome these challenges. We also provide pre-press services for the release of new edition of journals and newsletters. 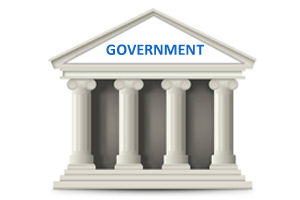 One of the legal state departments of the US Government involved in ordinance codification, document management, software integration, document scanning, editorial services, indexing minutes etc. Timely delivery of unpredictable volume of data (ranging from 50 to 3000 documents per day). PHi's highly skilled project management team thoroughly studied ordinances of various states to understand their coding methods and came up with a single, unified document tagging system for all codes. Developed a dedicated workforce to meet quick deadlines. Software team developed a new data entry and verification software to produce zero error output files, resulting in reduction of production and outsourcing cost by almost 20%. Improved the production capacity from initially 5,000 indexing records a day to 30,000 records and in turn cut down production costs. As a result, the client was able to add more customers and reduce outsourcing cost substantially. Based on our timely deliveries over the years with excellent quality, PHi earned two more big projects from the client. PHi's economical, accurate and on-time deliveries over the years have facilitated client to win majority of the legal coding business of the U.S. Government. Today, client is the biggest legal publisher in the U.S.